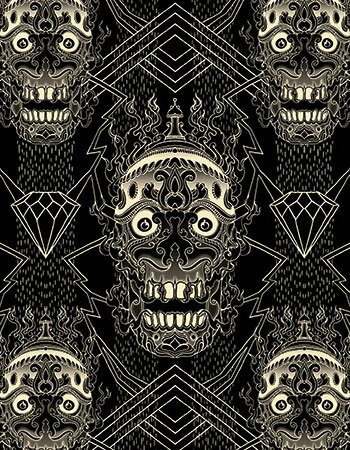 This tutorial guides you through the process of creating a repeating pattern for a T-shirt print. We’ll focus on creating one main element that will function as the key character of the pattern. 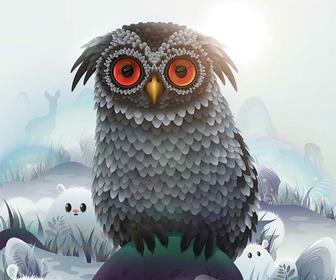 We’ll then create elements that will make up the linking imagery – or ‘glue’ – that holds it together. 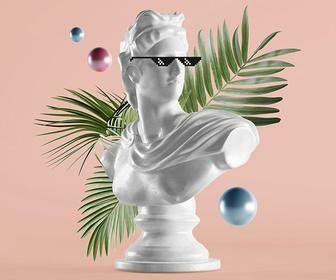 If you’d rather use readymade elements created by Ollie Munden, there’s a selection of these available to download at the link given opposite. This tutorial also shows you how to create shading and turn this into a bitmap shading effect, and how to duplicate drawings and reflect them, to create bold graphic designs. 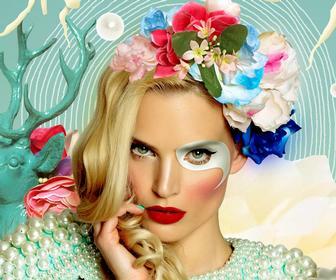 While this design has been created with a T-shirt in mind, you can use the techniques to create everything from desktop wallpaper to textile designs. Before getting stuck into the design stage, it’s a good idea to scout about through books and websites to gather some reference imagery. 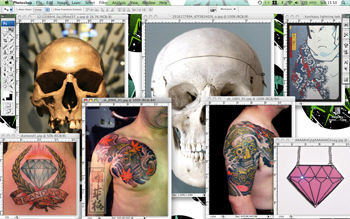 In this case, inspiring tattoo art samples and good-quality photos of the human skull are what we’re after. 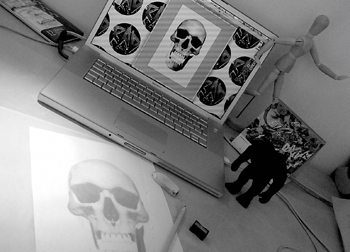 After collecting enough imagery to get inspired and deciding what element is going to feature as the main item of the repeat (in this case, a decorative skull), we’re ready to create a Photoshop mockup for tracing. You may need to combine more than one photo in Photoshop to get the skull just right (the one I’ve used is downloadable opposite, named Skull.psd). Print out the skull in black and white, at A4.